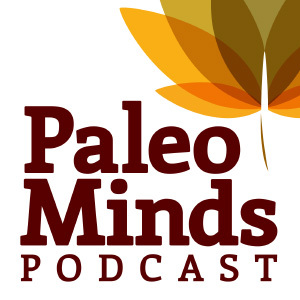 We would like to extend a huge welcome and thank you to Darryl Edwards for joining us once again at Paleo Minds for part two of our massive two-part interview. Darryl is the founder of Fitness Explorer Training and Nutrition and author of Paleo Fitness. 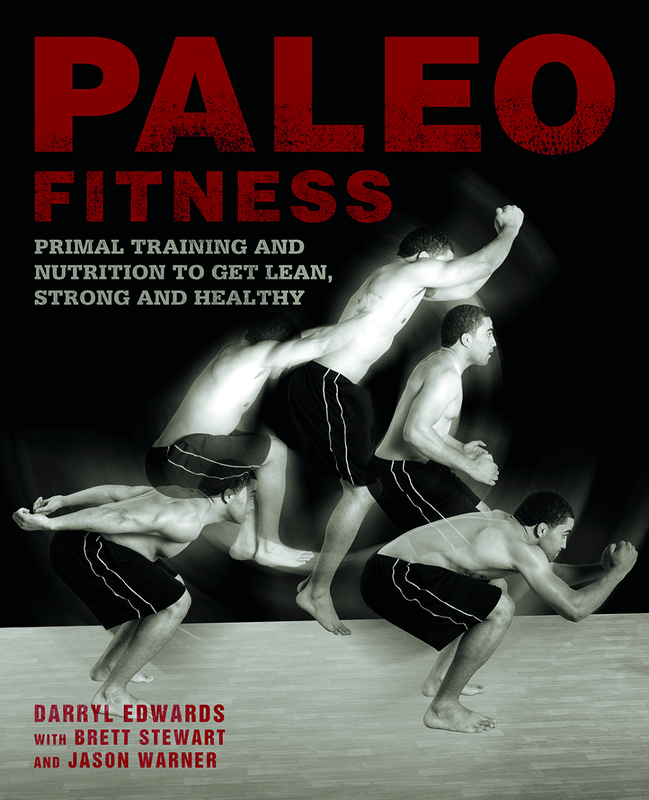 On 25 October 2014 Darryl hosted the first ever UK Paleo-Primal conference Health Unplugged. 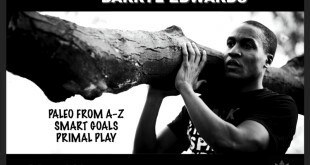 You can find out more about Darryl on his website The Fitness Explorer. If you missed part one please find it here. 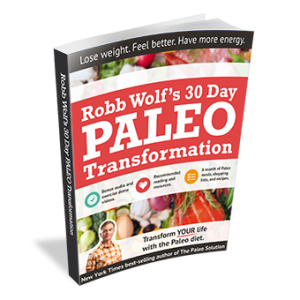 You’re becoming increasingly renowned for your expertise in Paleo fitness. Tell us what a ‘play out’ is and about your PRIMALITY movement system as detailed in your book Paleo Fitness. I hate exercise but I do love to move and Paleo Fitness really came out of what I was doing with my eating habits. I have this way of eating that’s aligned to my genetic heritage and what nature has decided is the optimal food source for humans. The exercise I was doing back then didn’t quite fit that model. I knew it couldn’t just be about food, so looked for what else there was to focus on? Exercise and movement capability was part of that. So Paleo Fitness became my version of an omnivorous movement practice. Taking bits and pieces from different areas that would improve my movement capability and was aligned to what I should be doing naturally, as nature intended. These were the sorts of movement patterns I should be involved in. Even though I found success with this variety of movement it wasn’t always that interesting and I couldn’t always motivate myself, and so the playful aspect of movement was what fascinated me. If I can actually involve an element of play into the movements I do it’s going to be something that I’m going to want to do because I enjoy it. I’m going to want to spend time focussing on this engaging aspect of movement practice, and so PRIMALITY and play-based movement came out of that. PRIMALITY (Playful, Regeneration, Instinctive, Mindful, Adaptive, Life-giving, Integrative, Tactical, Youthful) is about playful movement, movement that’s regenerative, instinctive and mindful. We adapt based on the movements we do so it should be very adaptive, we shouldn’t be focussing on just one particular specialism. Our movements should enhance life rather than detract from it. If we’re doing exercise and spending a lot of time recovering from injury because we’re punishing ourselves that isn’t helpful. If we’re constantly stressed while doing movement it’s not helpful. We should be focussing on movement that’s going to regenerate our health rather than generate illness or injury. And we should be opportunistic about movement, so rather than setting aside some time where you go “hey I’ve got thirty minutes in the day, I’m now going to do my workout of the day” think of it as a play out. I think about what I can do in the next five minutes that’s going to be really engaging. “Hey, there’s a bus shelter, let me knock out some pull-ups.” “There’s a tree I can climb it, there’s a rail I can balance on it.” I can pick up my partner and take him for a piggyback. I can do whatever I want that’s enjoyable, at that moment in time, and get my daily thirty minutes of moderate to rigorous activity in. I don’t have to do it all in one thirty-minute block, I can just get it as and when I can, tactically. That’s what Paleo Fitness, my book, is about. 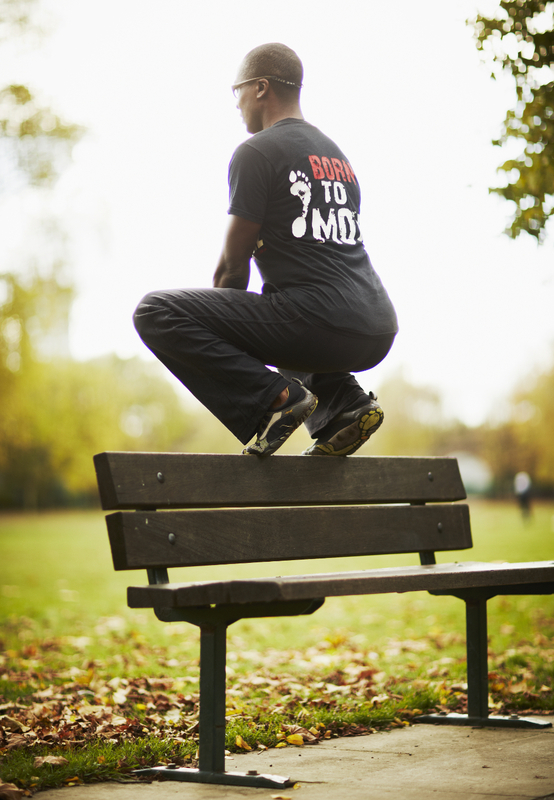 It’s introducing people to primal movement patterns and bringing it back to basics. Fitness isn’t just about how you look, which is what a lot of media and even personal trainers portray. They say if you have a six-pack you’re fit or if you look great in a bikini you’re fit. Actually you may not be fit, you may just follow a dietary plan that’s giving you six- or eight-pack abs, or you may have a genetic advantage that means you look great in a bikini, you may have had plastic surgery, even, to look great in a bikini. Fitness is about what you’re capable of achieving based on your movement practice and it’s often overlooked unless you’re a sportsperson – then it’s a focus, but if you’re just your average Joe like yourself and I what can we do with our fitness? That’s the question I want to answer and that’s what I want to test and challenge myself with on a daily basis. If you’re doing something you enjoy you’re more likely to stick with it and achieve better results. I think the compliance and adherence to that activity is definitely going to be stronger because you want to do it. You feel compelled. I think very few people can become addicts in the gym. It requires a lot of self-discipline to punish and pummel yourself every time you’re in the gym to get remarkable levels of performance and body image. One way of achieving desired aesthetics is beating yourself up in the gym, the other is for your body to adjust to what it should naturally be based on the activities you’re doing. Hunter-gatherers, by and large, have a lean athletic physique based on the foods they eat and movements they do. They’re extremely active on a daily basis and their bodies represent what they have to do. For a lot of modern humans our bodies represent what we don’t do by being physically inactive and eating processed and artificial foods. The solution is to revert back to what our ancestors did –which isn’t just about food – it’s about movement, sleeping patterns, how we manage stress, our level of satisfaction with life in general, and our levels of happiness. It’s about not constantly chasing material goods – all those things we tend to focus on in the western world that we don’t recognise as being harmful and detrimental for our health. You spoke about taking advantage of play opportunities such as pull-ups at a bus shelter. 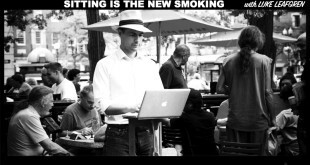 You’ve also previously mentioned small steps like taking the stairs not the escalators, and having a standing desk workstation. Is there anything else you recommend people implement? Yeah, I try and create play opportunities. I actually had somebody say to me yesterday they hate when we’re going for a walk because if I need to take a bus I will often hang back and race the bus. It’s about making sure you’re constantly being tested. I think you’ve just got to look for those opportunities within your environment. Visualise the consequences of not completing the challenge. When I’m sprinting for a bus, I imagine I have a really important job interview and if I don’t get the bus I’m going to miss it. Or I visualise I’m being chased – if I don’t get onto the bus I’m going to be harmed. I’m a lion and the bus is a gazelle! That almost child-like state of visualisation means you can operate at peak performance and the sprint really means something. It’s not just sprint training because sprinting’s good for me. It’s something I have to do because I need to achieve the objective – I need to beat the bus. I’ve achieved some remarkable sprint times this way – I haven’t recorded them – but I know my body’s operating at one-hundred percent because I don’t want the bus to beat me and I have people looking out of the bus going “who’s this crazy guy running against the bus? It’s not possible, he’s not going to win” but I go for it anyway. Those are tactics that I follow: can I vault this fence, can I jump over that bin, can I balance on that bench, can I do a squat leaning on the tipping point of the bench. These are ways to make movements more interesting and challenging. If you’re squatting on the ground what are the consequences if you fail your squat? Nothing really. But if you’re on a bench and you’re balancing, the consequences are you could really hurt yourself. So you have to think and be fully immersed in the movement. That’s an approach I follow as best I can, day-to-day. For those currently going to the gym that have reservations against play and ditching the gym in favour of the outdoors, what do you recommend? You’ve got to do what feels comfortable. Some people feel comfortable in the gym, it’s the environment for them. But you can still take play into the gym. For example, I started up within a gym. I remember bringing in some of these playful elements. One of those was what I call a driver or some call a deadmill. You get onto a treadmill without the motor running and literally drive the treadmill by yourself, you’re pushing into the arm rests as if you’re pushing a car and you just turn over the treadmill – the band – by yourself. You can only do that for ten, maybe fifteen, seconds max and you’re completely taxed doing it. So you can create some of these playful challenges within the gym. It’s seen as a little non-conventional in that environment, but people will be interested in what you’re doing and may want to take part. Perhaps you’ll start building a little community within the gym that say “hey you know what, I want to do something a little bit different. I’m sick of bicep curls, I’m sick of using a Lat Pulldown Machine, what else can we do?” I remember using a pull-up frame in my gym, we would actually climb the pull-up rig. Rather than doing standard pull-ups, we’d go back-and-forth changing our grip, one-handed, doing jump pull-ups. So you’ve got ten movements from that device rather than the standard one – the straightforward pull-up. The other extreme you’re up against are people who have been sedentary all their lives and people with problems and long-term chronic illnesses such as arthritis. Can you tell us about your success stories and how you’ve helped clients that have battled against these problems and came out the other side. How you provide a programme that’s individualistic enough to ensure they’re achieving progress based on whatever their condition is. So if they’re sedentary, hate exercise and are bored of activities, or they’re just lazy, can’t get motivated and just want to get home from work and sit on their sofa for the rest of the evening it’s about giving them a reason to want to get up and move. If you’re laughing and smiling while moving, have rheumatoid arthritis and realise there’s less inflammation when you move in a particular way, you’re going to want to keep on doing it because you’d rather that than take steroid and anti-inflammatory medication. As a coach it’s really about diagnosing what information needs to be presented to them that will get them on-board with the programme. Secondly it’s about devising a programme that’s going to work for them. In terms of success stories, I’ve helped people who’ve never exercised, who hated P.E lessons at school and were laughed at because they weren’t very adept at movement, who now twenty-thirty years on are achieving remarkable things. Things they never thought were possible for them – it just wasn’t part of their makeup. Actually they recognise it is possible and part of their movement potential, you just need to know what the right steps are. For those suffering from any form of infirmity, movement is medicine and it’s a very powerful mechanism to alleviate a lot of the conditions we suffer. Conditions we wrongly believe will be better if we avoid movement. “I’ve got lower back pain, it hurts if I move, so I’m going to remain sedentary”, actually the opposite is true. If you have lower back pain you’re far better off pottering around within your zone of comfort trying to build up strength, rather than getting weaker and weaker, and increasing the likelihood of further lower back pain in the future. A fantastic point and a far healthier prescription than any pharmaceutical company would prescribe. Before we finish let’s talk about some of your current and future developments. In November 2013 both you and Mark Sisson announced your next book would be published by Primal Blueprint publishing. Can you tell us anything about it? My next book is going to focus on primal play. Primal Play is my methodology for play-based and natural movement. It is going to be under Primal Blueprint Publishing and I’m busy working on it right now. It takes lot of time and I really want to make it all things for all people, so it’s really important I get it right. I’m also spending a lot of time running Primal Play sessions and was at PrimalCon in Oxnard hosting primal play sessions. All this exposure enables me to frame who play works for, why it works and when to apply certain principles. 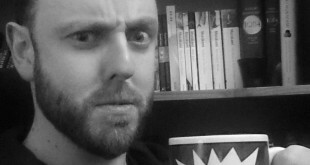 So I’m reaching a mass audience to really investigate the best way to approach introducing play to people who, as you say, have long-term chronic illness or have been sedentary for a long time or are really active and want a challenge. I’m looking at all these experiments and offering a solution based on writing that text. PrimalPlay.com is going to be launched in the near future. There are going to be videos, the philosophy behind play and living a play-based lifestyle. There will be lots of information on maintaining a play-based lifestyle both individually and in a group. I also hosted, the first Paleo-Primal conference in the UK. Which took place on 25 October and was called Health Unplugged. We had a great range of speakers, from the UK, Australia, Norway, the US. Finally, for readers who want to seek you out and look at the services you offer where can they find you? The best place is on my blog, which is TheFitnessExplorer.com. If you want to follow me on Twitter I’m @FitnessExplorer and on YouTube it’s youtube.com/fitnessexplorer. I’ve got lots of videos on there, discussing some of the movements I do that are in Paleo Fitness as well as movements I do on a regular basis in terms of my play-based activities. So please get in touch, I look forward to your feedback both from this interview and in any other area of my business. Thank you so much for joining us Darryl. We look forward to catching up with you again soon. Check out our Paleo Minds affiliate links below. Every time you buy through them Amazon will kick back a small portion of the sale to us which helps with the day-to-day costs of the website such as domain names, website hosting and artwork.